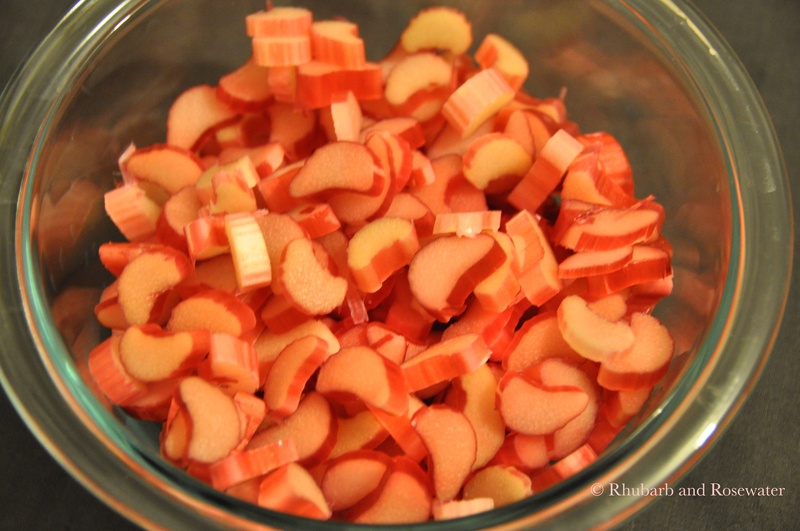 It’s finally rhubarb season! 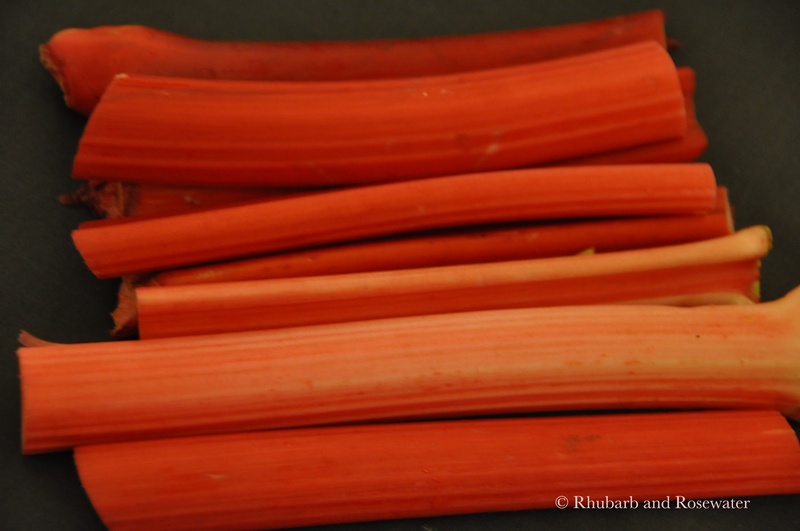 Although the sky is grey and there are still some chunks of ice lying on the side of the road, spring is around the corner as the snowdrops and crocuses are in bloom and rhubarb is on the greengrocer’s shelves! 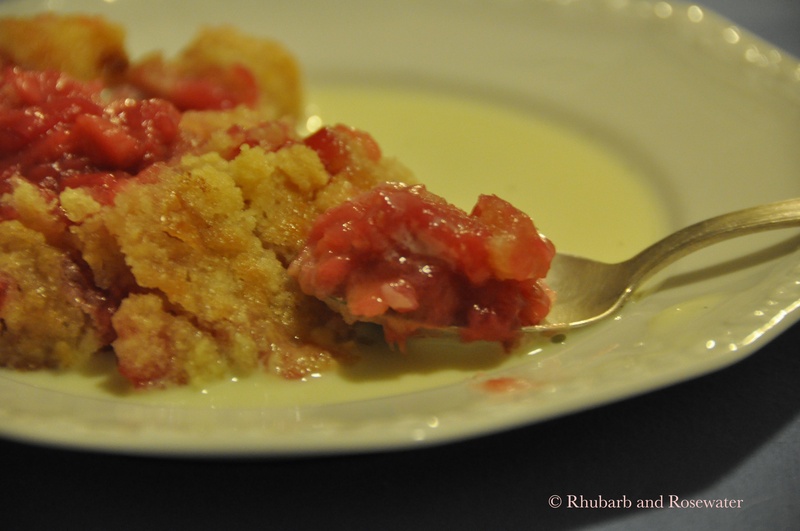 I used the first rhubarb of the year to make a crumble. 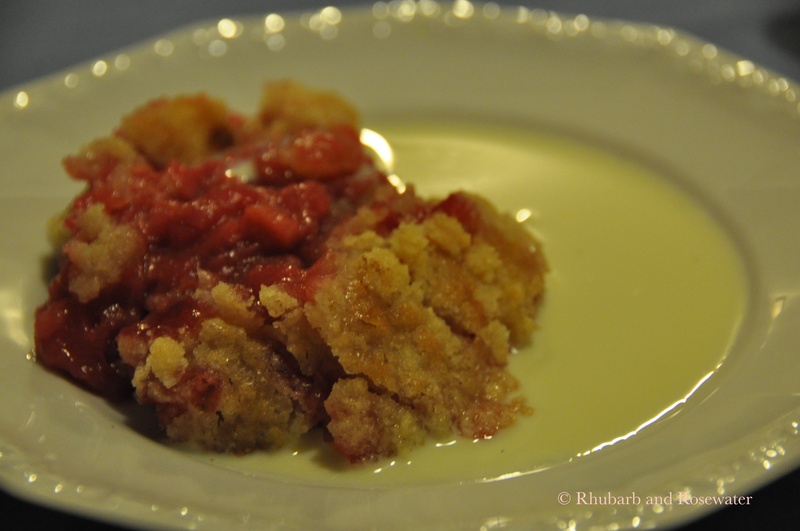 Crumbles are the perfect combination of sweet and tart and – usually – they only need a brief preparation time. 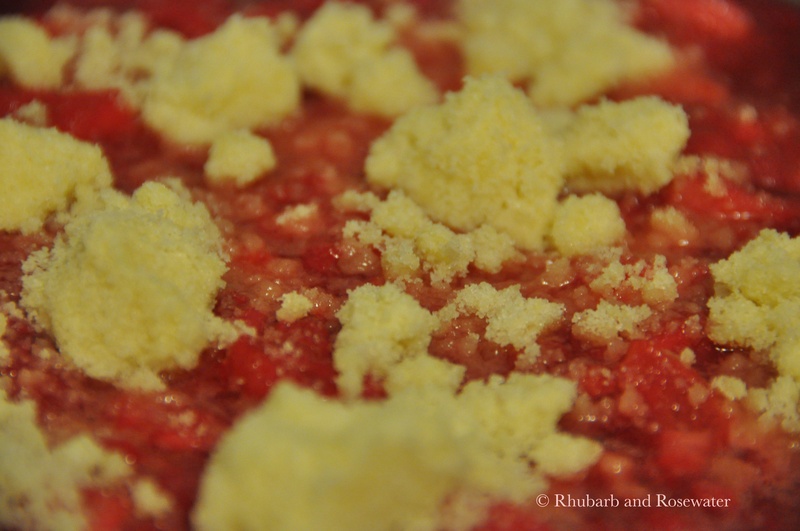 A rhubarb crumble, however, needs a little more time than a usual crumble as the rhubarb has to be cooked first. However, it’s totally worth it! 1.) 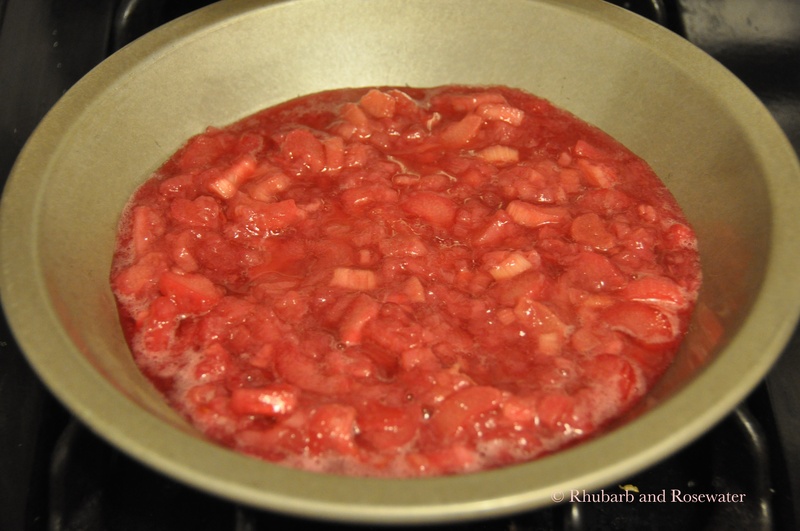 Cut the rhubarb into small pieces and put it in a sauce pan. 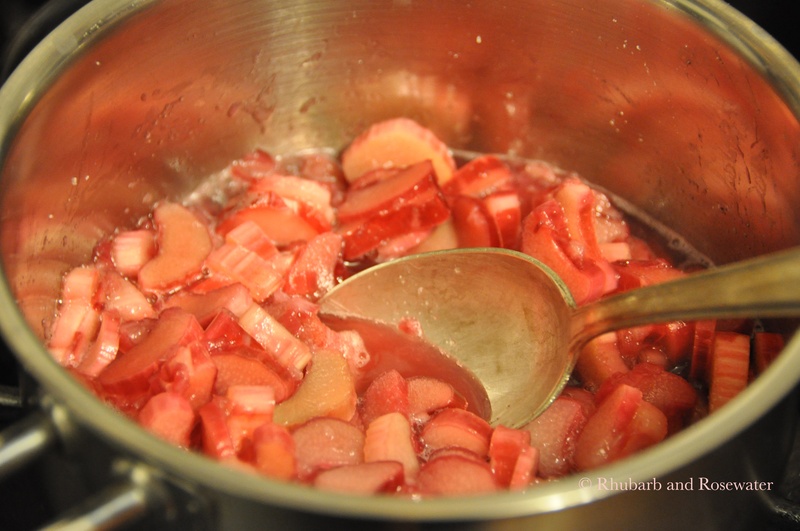 Add sugar and port wine and mix. 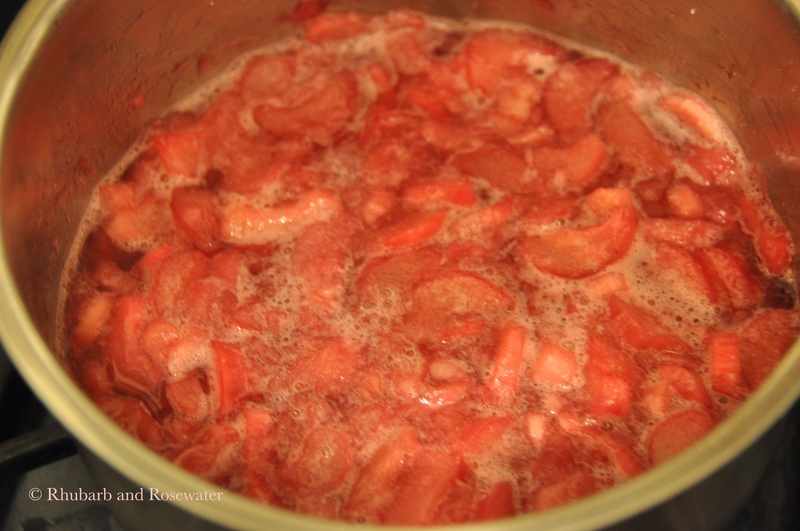 Heat up the mixture and simmer on low temperature for 15 minutes. 2.) Pre-heat oven to 400˚F. 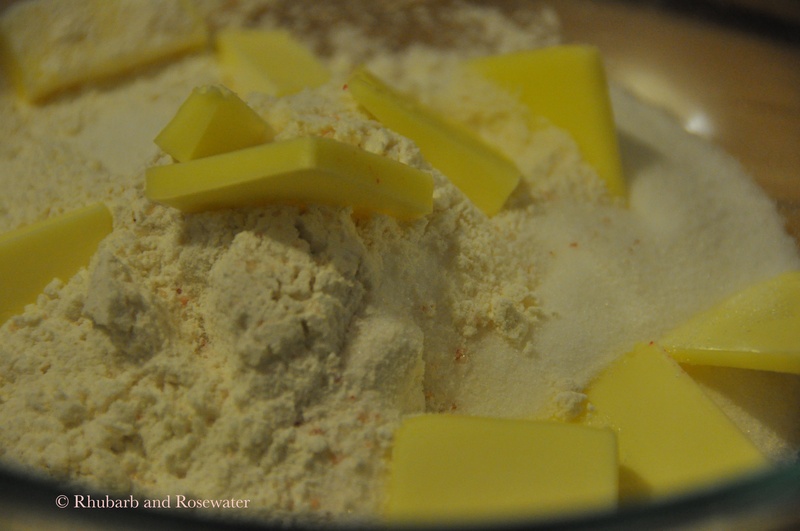 Mix sugar and flour in a bowl. 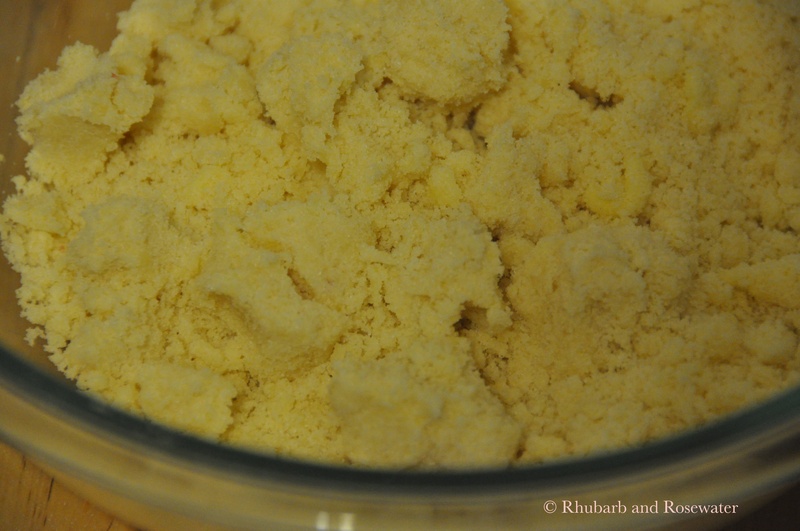 Cut the butter into chunks and add it to the mixture. Add a little bit of salt. 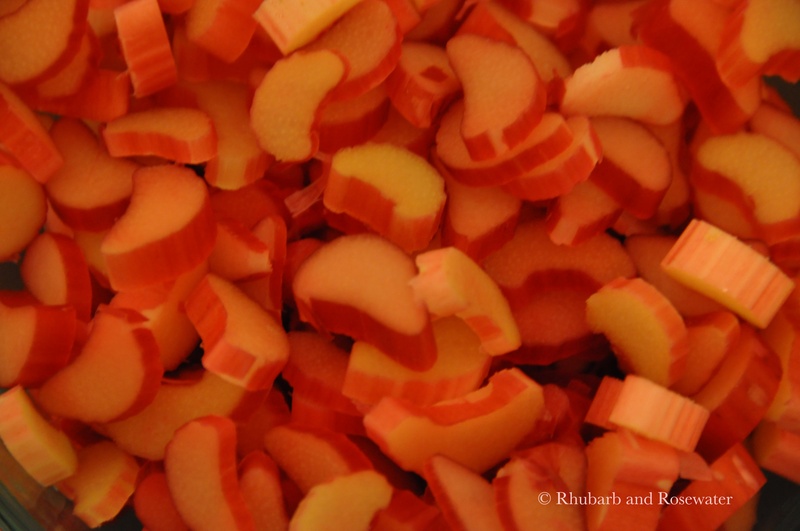 Use your hands to mix everything together until it has a crumbly consistency. 3.) 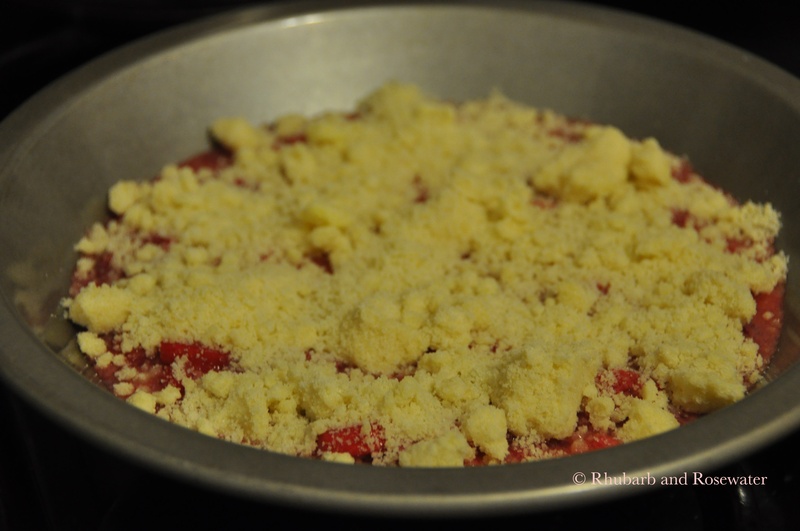 Pour rhubarb into a baking dish and add crumble on top. 4.) Serve with vanilla custard or vanilla ice cream.